Dr. Kostiuk was so honoured to have been nominated to speak at the PAA Connect, thank you to her peers and to everyone in attendance. The experience of speaking in front of her peers and hearing about the topics that others are focusing on in Psychology was enlightening. Dr. Kostiuk discussed what she has learned through the development of her own private practice and the development of her own mentorship program, the Psychologist in Business Training Program. A one-of-a-kind program that allows future counselling professionals to learn not only about the psychological aspect of working/owning a private practice but the business components that are not necessarily taught in school. Dr. Kostiuk was so honoured to have been nominated to speak at the PAA Connect, thank you to her peers and to everyone in attendance. Dr. Kostiuk is excited to announce that she will be running a workshop for her PiB program! 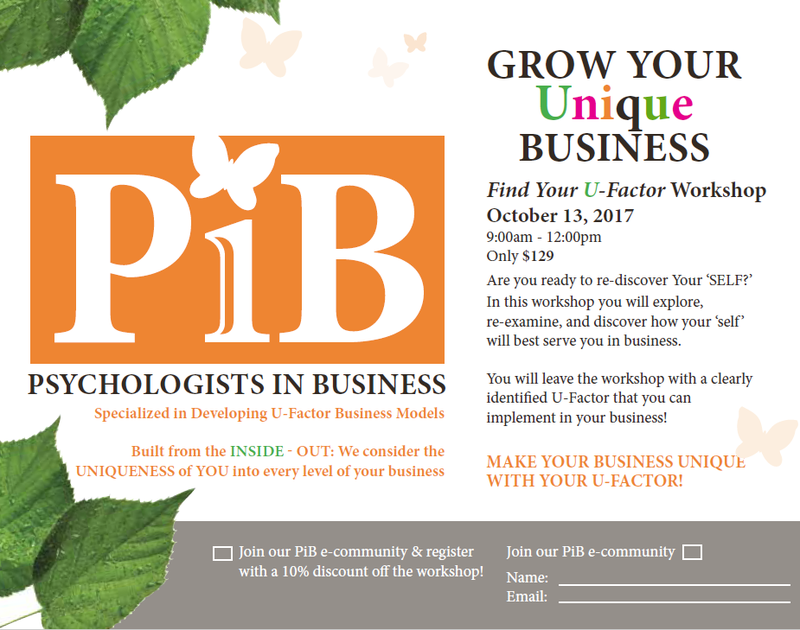 The “Grow Your Unique Business workshop will be occurring on OCTOBER 13, 2017 from 9:00 AM – 12:00 PM. Find out how to incorporate your ‘SELF’ into your business! If you are interested in learning about how to develop your unique psychological business or would like to see if you are right for the exclusive mentorship program with Dr. Kostiuk at Aspirations Inc. the PiB workshop may be perfect for you! 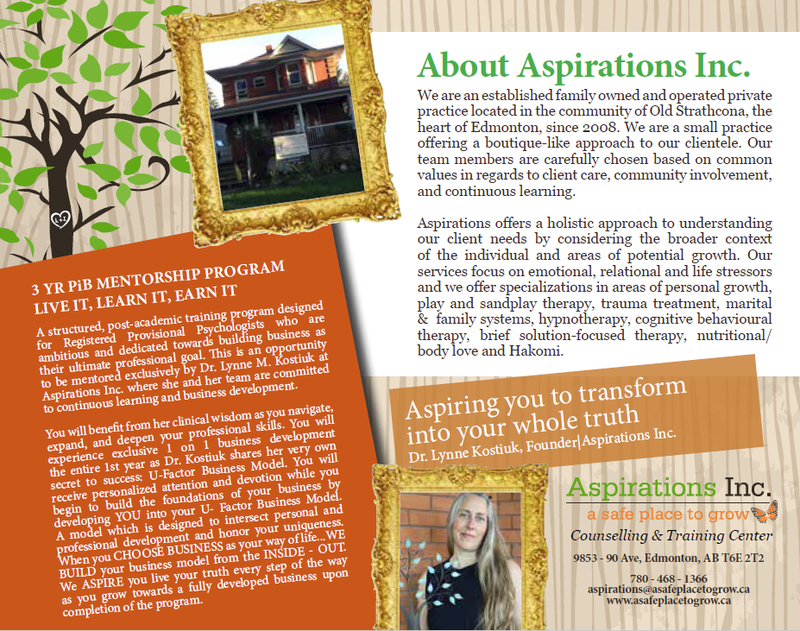 Learn what is takes for you to follow your aspirations of having a private practice! Don’t miss out on your chance to learn insider knowledge on owning a unique psychological business! Registration is ongoing now, (but spaces are limited), secure your spot before it fills up! Register NOW!